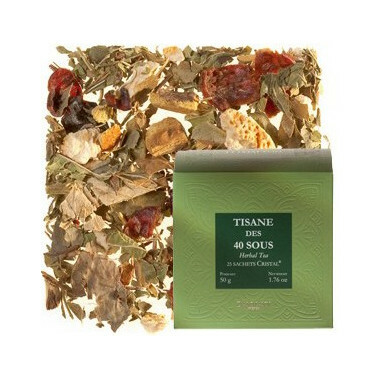 This fragrant Tisane des 40 Sous (40 Pence) herbal tea offers precious flavours of rosehip peel, lemon, Bigarade orange leaves, with liquorice and thyme. 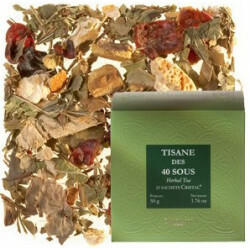 This fragrant 40 Sous (40 Pence) herbal tea offers precious flavours of rosehip peel, lemon, Bigarade orange leaves, with liquorice and thyme. This herbal tea's soft bitterness is a true delight. The Cristal® teabag is the key to a perfect brew and makes sure all the flavours develop thoroughly in the mug. The Cristal® teabag is a registered trademark and special creation of Dammann. 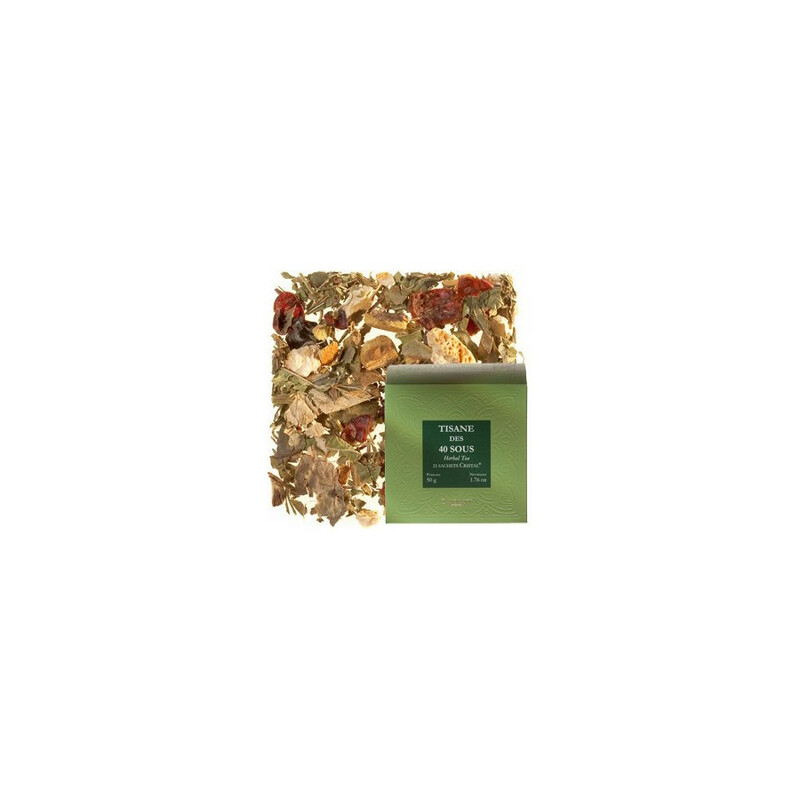 Ingredients: lemon and rosehip peel, verbena, orange tree leaves, liquorice and thyme. Recommended steeping time: 6 minutes.